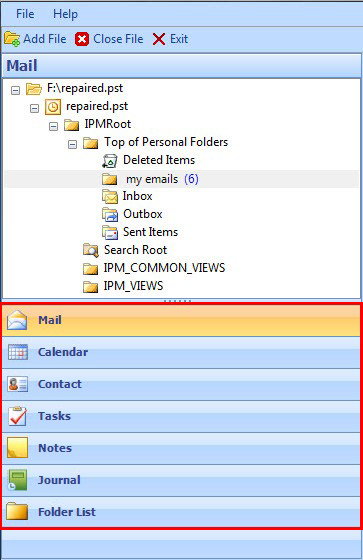 Recently my company have migrated mailboxes to Lotus Notes from MS Outlook. Now we also have got many OLD PST archives for many users with us, which we have not converted to Lotus Notes. These PST files are BIG in size, some are even 16 GB in file size. Now we are looking for a solution which can help our users access their legacy emails stored within the .pst files. Can your team suggest us a way to do so. We have heard a lot about your expertise, so need a recommendation from your side for such tool’s. Your query was delivered to us by the Technical Team. First of all let me introduce myself to you, before we get on to the solution. Myself James, working as a Messaging Server Migration Specialist from the past 12 years. I can surely help you by answering all your queries step by step. The situation clearly states that neither your organization nor any of its employees are currently working with Microsoft Outlook. Thus, there is no way the archive and its legacy emails can be accessed at least not without applying a workaround or a third party applet to work. Secondly, PST files are a proprietary of Microsoft Outlook and therefore its contents can only be read using the respective client of any version (except for Outlook 2011). Therefore, the only option left here is of using a third party application that can let your employees open and read PST files of any Outlook version and any given size. 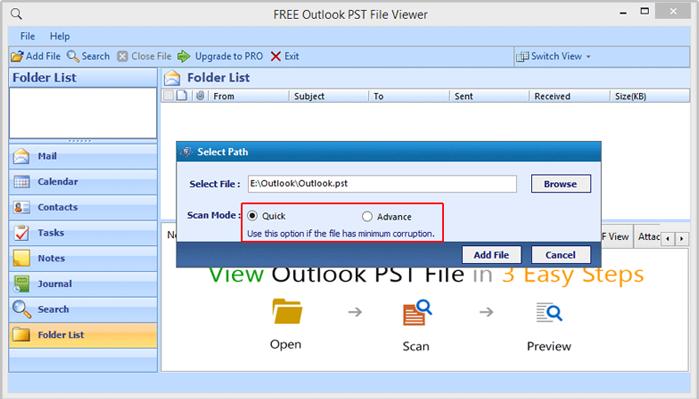 Outlook PST Viewer: The best thing about this utility here is that, it is – easy to download, safe to install, and absolutely free of cost! You can get the tool up and running within a matter of clicks and read any size of PST files on it without encountering any limitation or complication. All components of the selected data file supported; contacts, calendar, tasks, etc. Transferring data from Lotus Notes to Outlook is a little bit tricky and not possible by any manual means. However, migrating data of Outlook into a Lotus Notes supported database format is possible both; via a built in utility provided by IBM and also via commercial solution. Nevertheless, the excessive manual input required by end user makes the inbuilt program non-desirable solution to deal with the migration. Conclusion: The applications suggested (excluding PST Viewer) are tested and work absolutely fine in fact way better than the manual workarounds available, if any. Each utility comes with a purchase license (according to the purpose of use) that adds up an advanced range of facilities to it to enhance the migration. Get in touch with us if any confusion persists or to know more about the solutions suggested here.